Miserably out of date in its views. I have to wish this wasn't the standard history on the Mongols. In the 2nd edition of 2007 he adds a chapter with a survey of scholarship since the 1st edition of 1985. Read that, and see what a change there has been in our ideas. But he has "not tried to update the main text of this book to take account of what has been published since it was written". This means -- sorry -- his book mustn't be the standard history. The main text is quite negative, and the update makes that unjustified. Once or twice he even descends to caricature -- as a joke, but I just can't laugh. That added chapter, a bibliographical one, can send you to a number of splendid books. I followed up on those and the horizons open... I think he admits himself, here, that his assessment of the Mongols in the main text looks very old-fashioned -- when he writes, "the subject now has a distinctly different feel to it." The 'standard work' tag is self-perpetuating. There are others. For an introduction to the Mongols, I'd suggest this: The A to Z of the Mongol World Empire by Paul Buell. Footnote: the bit of caricature. If you're curious, I mean this: Feeling his age, and realising that there were lands still to conquer and people yet left unmassacred, he enquired whether there was available any medicine of immortality. I've nothing against humour in scholarship. For this joke, however, I can make no excuse. It doesn't belong in a scholarly book. Couldn't he have struck that out of the 2nd edition, at least? 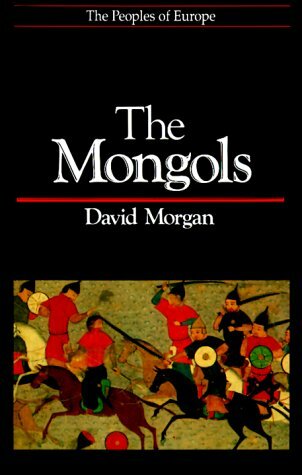 Sign into Goodreads to see if any of your friends have read The Mongols.